Rosemark Assisted Living – Martinez Associates, Inc.
Martinez Associates was retained by Zing Development Strategies to perform construction material testing and special inspections. 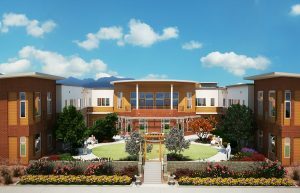 This project consisted of a new two-story assisted-living facility with a basement in the Mayfair neighborhood of Denver. The structure is supported on spread footings with slab-on-grade, masonry, and wood construction.